It was always going to be a risky move updating a classic kids TV show, especially one with such a distinct style, but Thunderbird are Go manages it very well. This is because it perfectly mines elements of the classic show while updating the series for a modern audience and for the most part, this works. The biggest change is in the animation style used. 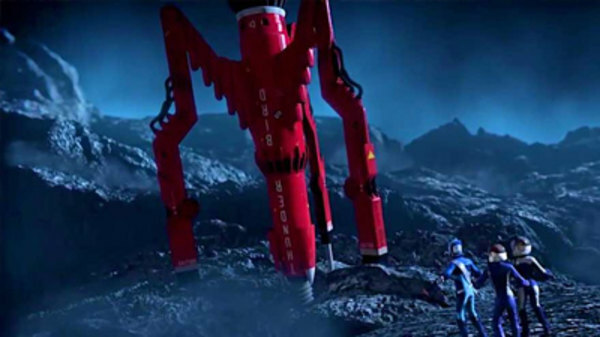 Thunderbirds are Go doesn’t use the Supermarionation that the original series uses but instead opts for a mix of constructed, real backgrounds with CGI placed over the top. This is a good idea, taking some of the more make-shift qualities of the original show with a new, fresh design. Luckily they don’t update too much, with characters still looking as they should and more importantly, all the Thunderbird vehicles themselves maintaining their original design too. This also extends to the stories too. Thunderbirds are Go keeps the same theme of the original series; International Rescue and saving people. This means we still have the futuristic setting but within this, different disasters which usually escalate as the episode progresses. These vary a fair bit, from people trapped in a collapsing ice cave, to a runaway train through to a crashing space hotel. In fact this becomes the first major issue with Thunderbirds are Go, so much of it is set in space. It means we get a decent episode focused on the less active of the team, glorified phone operator John Tracy, as Thunderbird 5 begins to malfunction, but more often than not it is youngest Tracy, Alan who gets a run-out. It is easy to see why, Alan is the kid of the group and this will appeal to the younger demographic, but as an older fan of the classic series, it gets slightly repetitive when we continue to see Alan being the hero in adventures which mirror each other closely. It is a shame too because when the series steps outside of the normal Thunderbirds style episode, it becomes even more interesting. 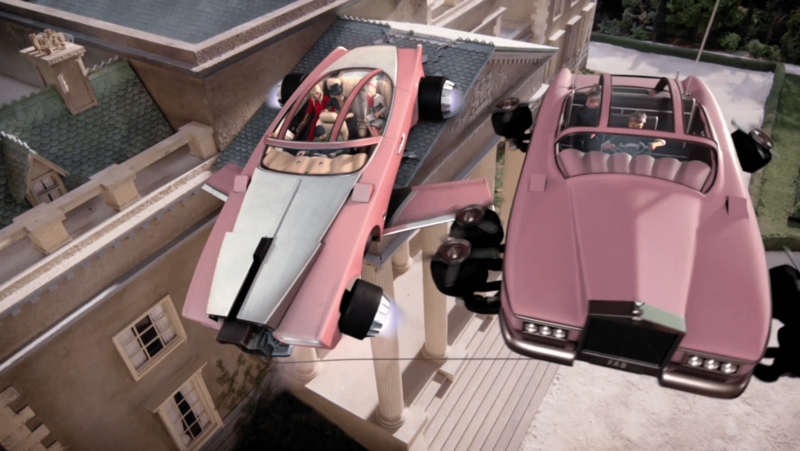 Support for the Tracy brothers still comes from Lady Penelope and Parker and there are some great spy-type missions involving the pair which means there is some variation in the adventures. It also gives the opportunity to introduce the villain of the series. Just like the original, The Hood causes headaches for International Rescue and gives a good foil for the team. It also offers a deeper layer of story with his niece working for the Thunderbirds but keeping her family ties secret. It is a loose story-arc but one which comes into play as the series progresses and leads to a very good season finale. It is just a shame that the rest of the time, fighter pilot Kayo is under-used. These are minor complaints for a series which proves just as exciting as thrilling as ever. The episodes have been condensed to just under 22 minutes and it means we get a great pace, escalating events and some cool moments which will entertain both kids and adults alike. Overall, Thunderbirds are Go is a great update of the classic series. 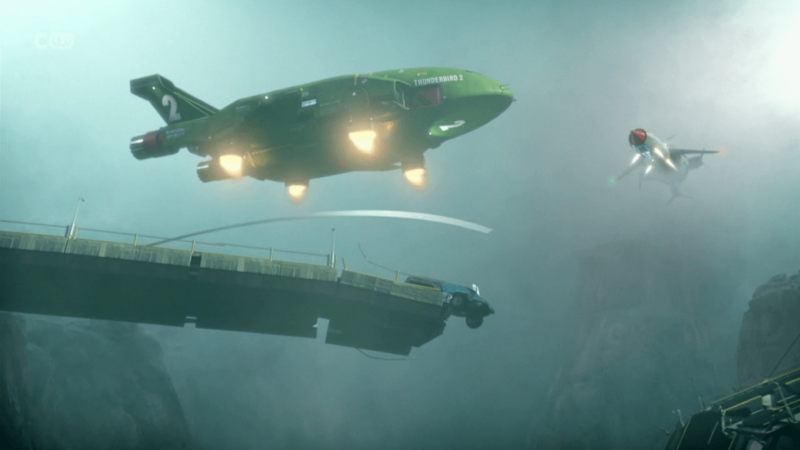 The DNA of the Gerry Anderson show is still present but decent CGI, some updated stories and some exciting storytelling means that this new series does justice to the show which inspired it. Best Episode – Chain of Command: An episode which begins the events of the finale well, with a different style of villain for one episode. Best performance – David Graham as Parker (returning to the role he voiced in the classic series). Should there be another season? 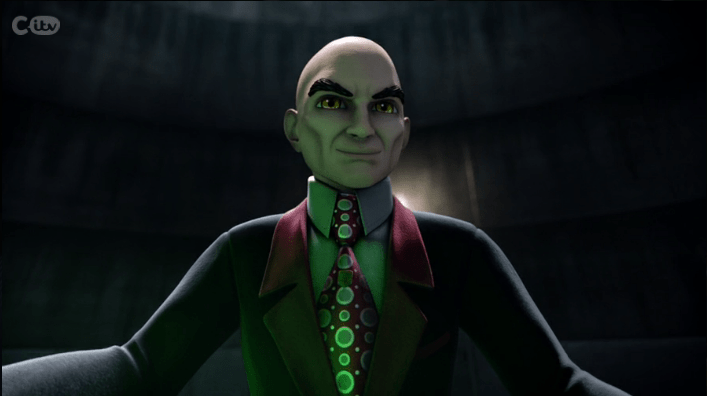 – Yes, plenty of potential for many great Thunderbirds episodes yet.